This award is for the best development of any size in the South of England (below Birmingham). A highly competitive market place, where the construction of new homes is increasing, this award recognises an exceptional range of new homes that stands out from the crowd, while remaining accessible to first time buyers. During a time when the South East faces a chronic housing shortage, Clarion Housing’s Unity Gardens development provides a ray of hope – particularly for those on lower incomes. The development forms an early part of the Government’s flagship new Ebbsfleet Garden City in Kent, which, when complete, will deliver around 17 million sq ft of development, including the creation of up to 15,000 new homes, commercial, retail and leisure space, new schools (one of which is already open) and community facilities, as well as up to 20,000 new jobs, all set within the beauty of the area’s former quarries. 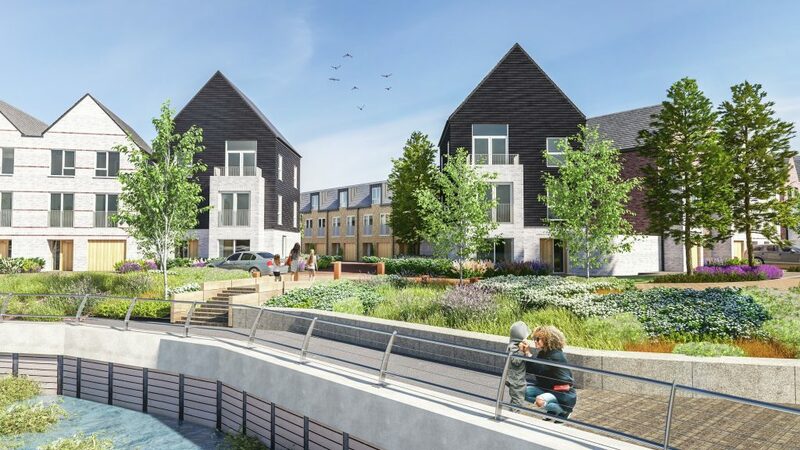 Rochester Riverside is a £419m joint venture between Countryside and Hyde that is transforming a 50-acre brownfield site into a new riverside destination for Medway, providing approximately 1,400 new homes. This flagship regeneration project is breathing new life into this historic part of Medway and providing vital new homes and amenities for the area’s first time buyers. The project is anticipated to complete in around 2030, with the first homes due to be ready later this year. Each home is contemporary in style – created to appeal to design-conscious first time buyers, while thoughtful interior layouts maximise space and light. Open-plan and generous living areas have been designed to create flexible and welcoming spaces. 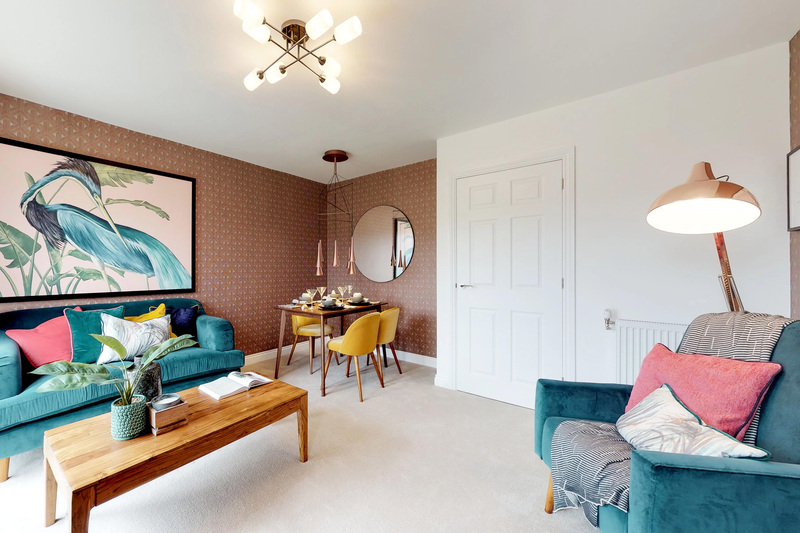 Thoughtfully designed and with a high-quality finish and specification, interiors are long-lasting and easy to manage for the busy life of a first time buyer. Cane Hill Park, located in Coulsdon, is uniquely situated to be able to offer first time buyers the benefits of both country-style living combined with a close proximity to central London. 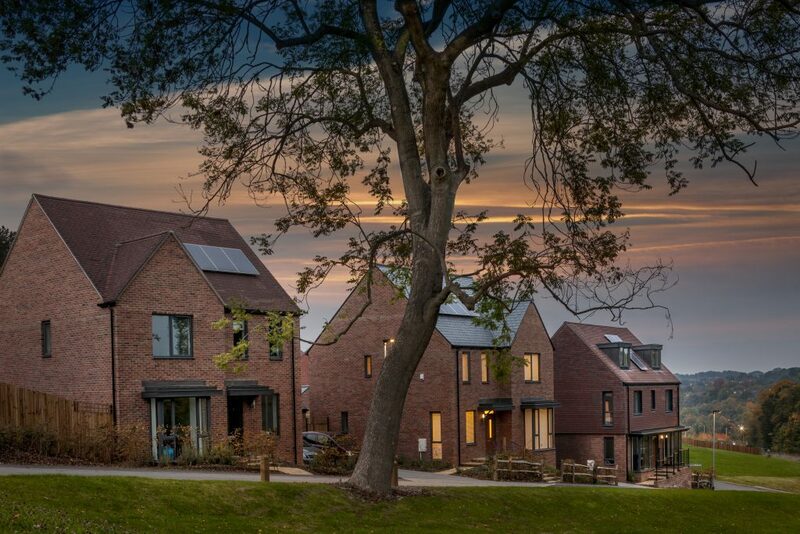 This 205-acre former hospital site has been redesigned by housebuilder David Wilson Homes to offer a sustainable new community of 677 homes, with a focus on affordable family living. With a selection of modern homes available to purchase using the Government-backed 40% Help to Buy: Equity Loan scheme, first time buyers are discovering that the outer boroughs of London will offer them better value for money without having to face a lengthy commute. Set back within a mature woodland setting, Cane Hill Park features its own village green that will form the heart of an attractive walking and cycling route that leads to Coulsdon town centre and railway station, which offers services to London Victoria and St Pancras. 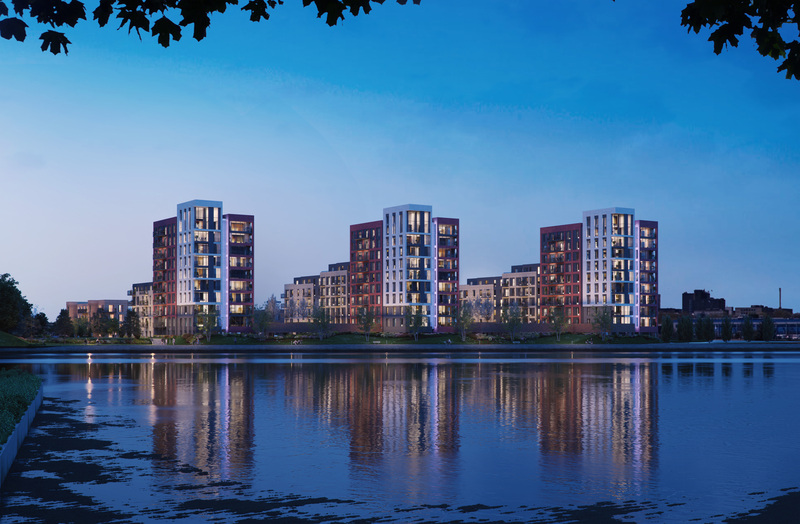 Meridian Waterside is a modern waterfront neighbourhood in a prime position on the banks of the River Itchen, just minutes from Southampton’s bustling city centre, comprising 352 new homes and more than 5,400 sq ft of commercial space. This stunning new landmark development offers first time buyers a superb range of high quality apartments. Phases one and two comprised 96 one, two and three bedroom homes, with over 70% selling to first time buyers. Phases three and four will feature waterside apartments, with phase three currently underway. Each property interior has been designed to achieve a careful balance between luxury, functionality, and affordability to appeal to an increasingly discerning market. Meridian Waterside is one of Southampton’s major development projects, enhancing the Itchen riverfront and creating a new gateway to the city from the east. The estimated completion date for Meridian Waterside is 2021. One of the UK’s largest and most significant new developments, Barking Riverside is set to transform an extraordinary 2km stretch of Thames frontage into a brand new 21st century community. L&Q’s Parklands at Barking Riverside is a collection of 300 homes, consisting of 188 shared ownership homes and 112 private sale units – all available through London Help to Buy – and part of the overall Barking Riverside masterplan, designed by award-winning urban design practice Lifschutz Davidson and Sandilands. 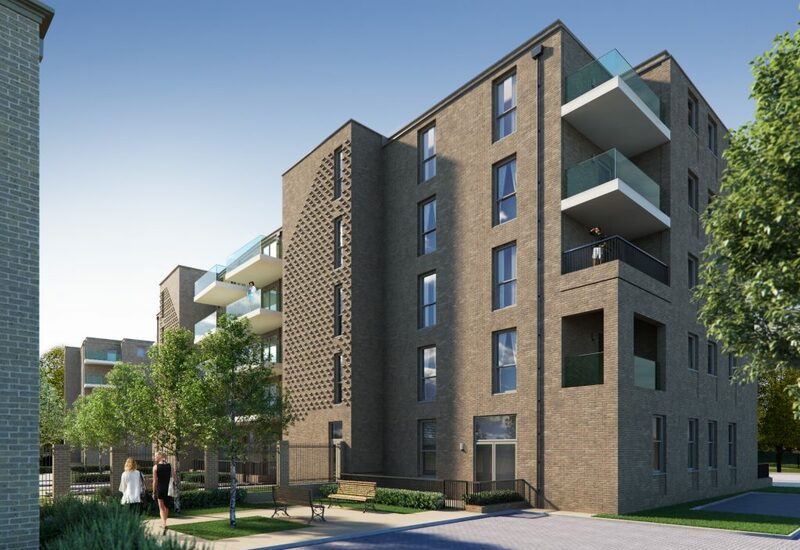 A joint venture between L&Q and The Mayor of London, Barking Riverside will grow to a community of 30,000 people over the next 15 years, with 10,800 new homes and 65,000 sq m of commercial space built on the 443 acre site. L&Q’s Parklands allows first time buyers to buy at the very start of this vision. 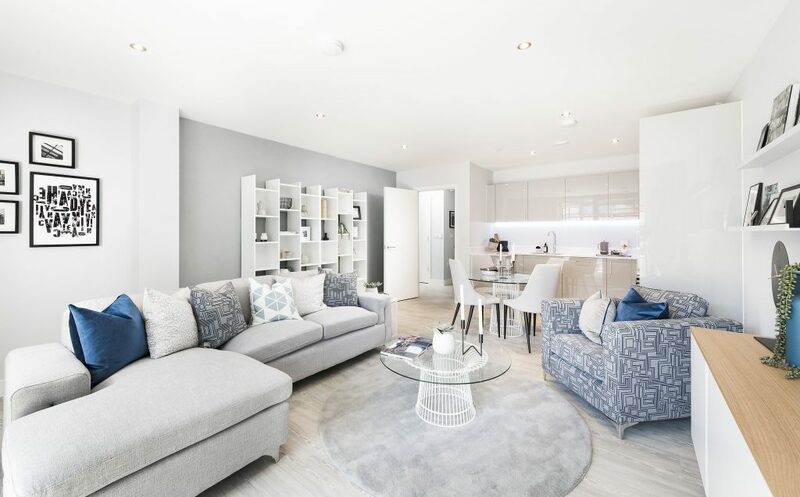 A stylish new development in the heart of Harrow, Echo One, a joint venture from Origin Housing and Hill, comprises 29 shared ownership and 69 private sale homes as well as 18 affordable rented homes. The development has been designed to help purchasers make the most of apartment living. It offers well-proportioned homes, which feature bespoke high-quality design, with access to a secluded communal courtyard, in an exceptionally convenient location – just moments from South Harrow underground station. Replacing an unattractive and underused office block, the brownfield scheme has been designed by the award-winning Moss Architects, and will act as a new landmark on the buzzing Northolt Road. Featuring a striking facade of traditional brickwork blended with contemporary opaque glass balconies, the building will bring a new lease of life into a rapidly regenerating area.